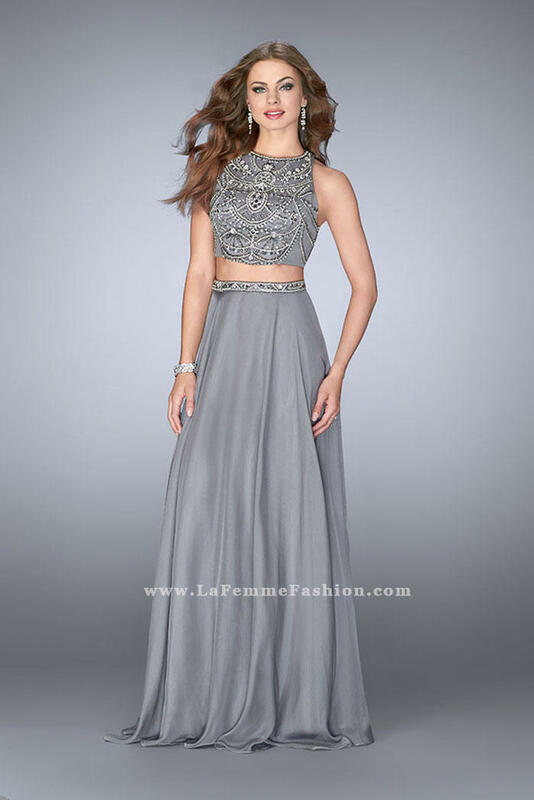 Graceful two piece dress with chiffon skirt and beaded top. The top has intricate detailed beading and an open back. Back zipper closure.